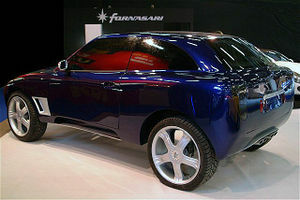 Officially the story of Fornasari began in 1999 with the company founded by Giuseppe Fornasari and some friends of him as supporters. As a matter of fact, the adventure in the world of motors started in the early '90s, importing Corvettes from the U.S. and preparing them for racing. The world of racing and Grand Turismo cars has been marking the entire life of the promoter of this enterprise. His father Gigi had been a very skilled racer for Alfa Romeo and Maserati in the '50s and from him the founder could receive not merely the passion for cars, but also a valuable asset of technical know-how and human knowledge. 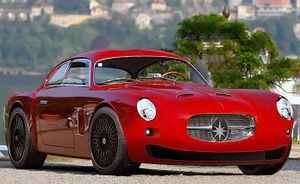 The names that have been characterizing the Italian sports cars in the past are often quite familiar ones. The world made of amateurs, collectors and technicians is a small one, where situations occur one after the other - each different though equal to the others. Fornasari RR450 has been competing since 2003. In the first year of races we started using a BMW engine till 2004, when we pass to a Chevrolet 8 cylinders. 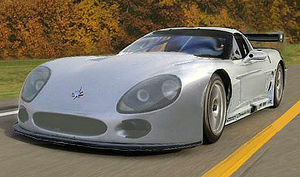 We ran with a 2WD car, and in 2005 we had the final evolution: Chevrolet 8 cylinders (modified), integral traction. In these four years the RR450 (better, the 4 RRs) took part in races of the Italian Championship Tout Terrain, in the World Championship Baja and in several international competitions, such as Qatar, Dubai, Spain, Greece, Egypt, Pordenone, Sicily, Sardinia, Rally del Ciocco (TT), Puglia, Lucania, Friuli, Mantua, Biella. 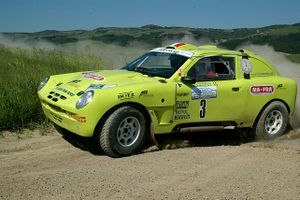 In these races Fornasari won several times in the special races, the second Italian place at Italian Baja 2006, the first and the second place at 18th Puglia Lucania Rally, the second and the fourth places at Pharaons Rally 2004. In this moment Fornasari are in the lead of the Italian Championship Tout Terrain and in the first positions of the International Baja Championship. Many pilots drove this extraordinary car: F. Cunico/ G. Pirollo, De Lorenzo twins, Fornasari/De Michelis, T. Manfrinato, R. Meyer, F.Picco/A.Ronconi, M. Ricci/ S. Fattori, Prisca Taruffi, M. Tempestrini, Vanina Ickx.